Win a pair of tickets to see The Illusionists – Witness The Impossible™ live in London! The Illusionists – Witness The Impossible™ - the world's best-selling touring magic show which has sold out in 71 cities across 17 countries - comes to London's West End for the first time. Guest starring the UK's hottest magician Jamie Raven, fresh from Britain's Got Talent, where he captivated the British public with his magic. 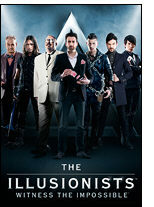 The Illusionists is a fast-paced and wildly entertaining show, featuring seven of the world's greatest magicians. Full of hilarious magic tricks and death-defying stunts, The Illusionists is set to mesmerise audiences of all ages. 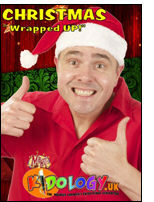 "A high-tech magic extravaganza" The New York Times. The Illusionists - Witness The Impossible runs at the Shaftesbury Theatre, London from 14th November 2015 to 3rd January 2016. 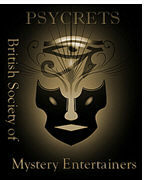 For more information and to book tickets visit www.theillusionistslive.com/london or call 020 7379 5399. For your chance to win a pair of tickets (and see all terms and conditions) visit www.hotticketoffers.com/competition/illusionists and enter competition code MagicWeek followed by your details, by 5th October. Hit West End magic show Impossible seeks magicians. From the production company: Following the success of its premiere production at the Noël Coward Theatre, the Producers of Impossible, the hit new magic show currently dazzling audiences in London’s West End, are searching for professional illusionists, daredevils, mentalists and tricksters to join their spectacular line-up of world-leading magicians for a 2016 UK and International Tour. Applicants are invited to submit video footage that showcases the very best of their magical talents, with the most promising candidates being invited to audition in London for multi-award winning magical producer and director Anthony Owen. Successful applicants will have the chance to join the production’s principal cast, performing their incredible feats for enrapt audiences in theatres all over the world. The chosen artists will be experienced in live performance and recognised for brilliance within their sector. Applicants should send a video to casting@jamiehendryproductions.com showcasing their best tricks or stunts and magical prowess, along with their name, contact information and a photograph by 12pm on Monday, 17th August 2015. A shortlist will then be selected, who will be invited to meet the producers and Creative Director in central London during the week of 17th August. Complimentary Copy of Card Culture. In order to further promote the hobby of collecting modern, antique and vintage playing cards, 52 Plus Joker, the largest playing card collectors' society in North America, is releasing a special complimentary issue of Card Culture magazine. This issue is a compilation of popular articles from previous issues and is meant to be representative of the type of content the magazine carries on a regular basis. 52 Plus Joker President Tom Dawson said, "In my many years of experience, I can't recall any monthly magazine that has covered card collecting with this level of professionalism and enthusiasm. It's become the industry standard, a valuable resource to the society, and to 'card culture' as a whole. Along with our long-standing quarterly publication, Clear the Decks, it makes the low cost of membership in the club an exceptional bargain for the price." This special issue is twenty pages long and contains six articles in total.